This tweet from @JuniperNetworks has really inspired me yesterday. I liked Junipers Firefly Perimeter (vSRX) from the first day. 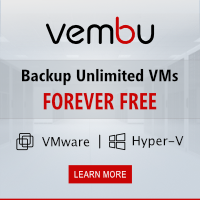 I like the idea behind this product (yes, I like everything that can be run as a VM…). But yesterday Juniper has go one better. Juniper Networks announced yesterday a virtualized and carrier-grade version of their MX Series 3D router. The Juniper Networks vMX is a virtual MX Series 3D Universal Edge Router and it’s optimized to run on x86 hardware. Juniper vMX can run on all major Hypervisors, including VMware ESXi and KVM. It was also mentioned, that vMX can be run in Docker containers or on bare-metal. The development of vMX was relieved by Junipers acquisition of Contrail. Junipers physical MX series router is powered by Junipers Trio chipset and Juniper has virtualized their Trio chipset for vMX (now called vTrio). It was also optimized for x86 hardware. Depending on the number of physical resources, a vMX can achieve a throughput of 160 Gbps. vMX uses vTrio, Junos OS and supports the same feature set, so it feels and behaves like a physical MX series router. 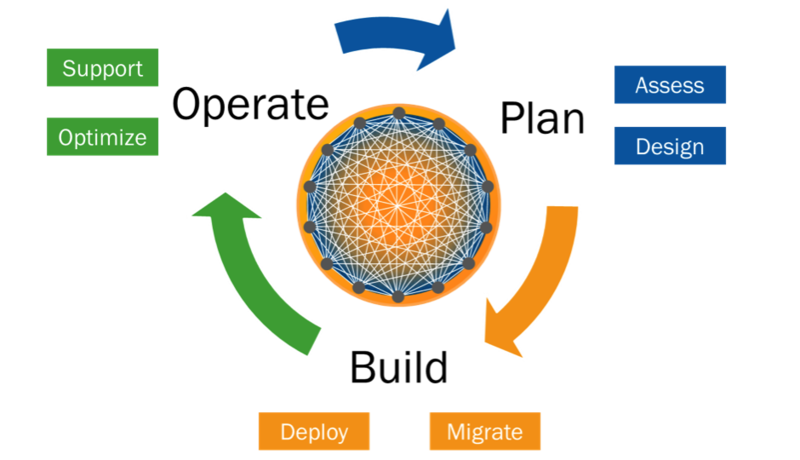 This ensures that customers can leverage their Juniper MX knowhow to run vMX in their environment. If a customer uses physical or virtual MX router is only a question of performance. Multiple vMX can be managed with Junos Space, Contrail SDN controller and OpenStack Cloud Manager. Customers will be able to buy vMX with beginning of Q1/2015 in a flexible license model (Pay-as-you-grow, perpetual or subscription license). Details about the pricing weren’t revealed by Juniper. This short video was published by Juniper Networks and it’s available on YouTube. This entry was posted in Networking and tagged juniper, junos, mx, networking, virtualization on November 7, 2014 by Patrick Terlisten. Sometimes it’s necessary to limit specific traffic in terms of bandwidth. Today I like to show you how to manage bandwidth limits using QoS and firewall policies. Especially if you have only limited bandwidth, e.g. a DSL connection, it can be useful to manage the used bandwidth for specific hosts or protocols. 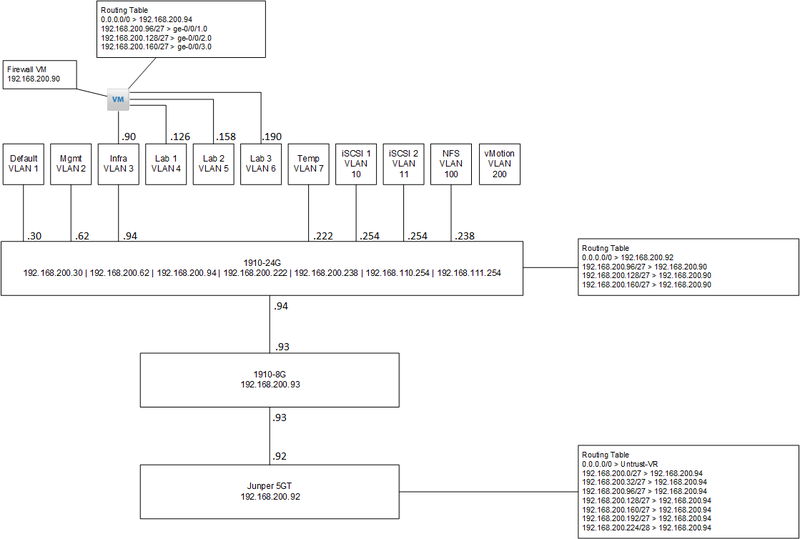 I use a really simple setup to show you, how you can manage bandwidth using CoS on a Juniper SRX. As you can see: A very simple setup. 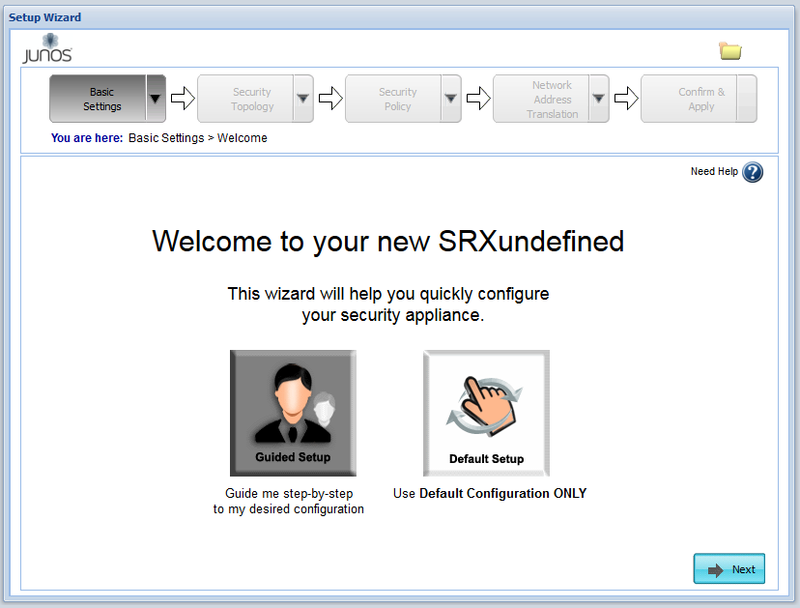 Also the initial config of my SRX is also quite simple. Two Interfaces, default-permit between the zones. Interface ge-0/0/1 is the untrusted, the external interface. Interface ge-0/0/0 is my the interface to my trusted network, therefore it belongs to my trusted zone. Let’s assume, that ge-0/0/1 is limited to 15 Mb/s and that 10 Mb/s of the traffic should be for traffic to port 80 and 5001. Any other traffic should be limited to 5 Mb/s. First of all we need to configure two new queues. Now we add two schedulers. The first scheduler will set the transmit rate to 10 Mb/s, the second scheduler to 5 Mb/s. The keyword “exact” causes, that packets were buffered under congestion. Before the schedulers can be applied to an interface, we have to create a scheduler-map and map the forwarding-class to a specific scheduler. Now we can apply the scheduler-map to the untrusted interface. The keyword “shaping-rate” specifies the amount of bandwidth to be allocated to the logical interface. The next step is to create input and output filters. The filters assigns traffic with specific criterias to a forwarding queue. The first filter is the filter for the input traffic. As you can see, the filter assigns traffic with source-port 80 or 5001 to the forwarding-class “bandwidth-10mb”, which uses the scheduler “scheduler-10mb”. This scheduler limits the transmit-rate to 10 Mb/s. If traffic doesn’t use source port 80 or 5001, then the forwarding-class” bandwidth-5mb” will be assigned. The last step is to assign the input and output filter, as well as setting the “per-unit-scheduler” option, which is needed when shaping is used with logical interfaces. This setup worked in my lab and I was able to test the funktion of the different filters with iperf. The most challenging part are the firewall filters, especially if you need to create more complex filters. I recommend not to change the default queues. I added two new queues for my needs. Input filters are used to evaluate packets received on the interface. For output filters the opposite is true: They are used to evaluate packets that are transmitted on the interface. This entry was posted in Networking and tagged juniper, junos, networking on August 7, 2014 by Patrick Terlisten. One strength of Juniper Junos is the config file management. The concept of different configurations is nothing special. For example Cisco uses two configuration files to reflect the current configuration in the RAM (running configuration), and the configuration used on startup (startup configuration). HP is doing the same on their networking gear. If you are new to Juniper Junos, the concept of an active configuration and a candidate config, which holds the current changes but isn’t active, maybe confuses you. Junos knows two command mods: The operational mode and the confguration mode. The operational mode is used for managing and monitoring your Junos device. You can switch from the operational mode to the configuration mode. The configuration mode allows you to configure your device. Junos is designed to handle configuration as a process. This explains why the active configuration isn’t changed immediately. The syntax check upon commit gives you more safety in regard to syntax or configuration errors. We all know this situation: We connect to a network device by Telnet or SSH, we enter a command and the session disconnects. This can also happen to you when you use Junos. After the commit, the candidate configuration gets active and your session goes down. But hey, there’s a solution! [email protected]# commit at "reboot"
root@dc-firewall# commit at "2014-04-13 19:00:00"
[email protected]# commit at "2014-04-13 19:00:00"
If you don’t use the “commit confirmed” command, you can use the “rollback” command to revert commited changes. The “rollback” command copies an archived config to a candidate configuration, which can be commited. Another often faced problem are missing configuration backups. Junos provides a way to automate the backup of configuration files. The configuration can be backuped after an interval or after a commit. The interval is given in minutes and has to be set between 15 and 2880 minutes. In both cases you need to add an archive site, meaning a place where the files has to be uploaded. You can add multiple achive sites, in this case I have entered a FTP and a SCP destination. set system archival configuration archive-sites "ftp://ftp@192.168.200.65/data/configs/dc-firewall" password "ftp" set system archival configuration archive-sites "scp://patrick@192.168.200.69/data/dc-firewall" password "Passw0rd"
set system archival configuration archive-sites "ftp://[email protected]/data/configs/dc-firewall" password "ftp"
set system archival configuration archive-sites "scp://[email protected]/data/dc-firewall" password "Passw0rd"
The password in the configuration file is saved encrypted . :) Depending on what you have chosen, the configuration will be uploaded after the interval or after a commit. This entry was posted in Networking and tagged juniper, junos, networking on April 14, 2014 by Patrick Terlisten. I’m a big fan of Juniper Networks! I work mainly with the SSG (ScreenOS) and SRX (Junos) series. The Juniper SRX is a network security solution, which can be positioned in the data center or at the branch. You will surely agree, that virtualization and cloud computing changed a lot from the network perspective. This demands security solutions that are not bound to hardware boundaries. Juniper Firefly Perimeter addresses this demands. What is Juniper Firefly Perimeter? Juniper Firefly Perimeter is a SRX Service Gateway and it’s delivered in form of a virtual appliance. You can compare it with HP VSR1000 Virtual Service Router or Cisco Cloud Service Router 1000V. Firefly Perimeter is available for VMware vSphere 5.x and Linux KVM. Microsoft Hyper-V is currently not supported. When you take a look into the datasheet you will notice, that Firefly Perimeter can all the cool things, that you expect from this kind of a virtual appliance: From simple routing, routing protocols (RIP, OSP, BGP, IS-IS…), MPLS, VPN, stateful/ stateless firewall, Network attack detection, a lot of management feature and many more. A really cool thing is the Juniper Software Advantage for Security. With this licensing you can choose from multiple options and deploy the software on any platform, regardless if it’s hardware or a virtual appliance. The licensing is a perpetual licensing, so you buy once and use it indefinitely. When using hardware based appliances it’s easy to track them. Go into the datacenter or the branch office and take a look into the rack. But a lesson I learned over the last years is: When you use virtualization, you need a lifecycle management. Otherwise you will often hear the question “What does server XYZ do??”. Junos Space Virtual Director addresses this demands. It’s a management application for Juniper Firefly Perimeter that helps you to automate the deployment and management of Juniper Firefly Perimeter appliances. To do so, you can use the REST API and attach the Junos Space Virtual Director to other platforms and tools (e.g. VMware Orchestrator). 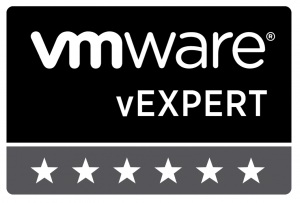 I assume that you use VMware vSphere. 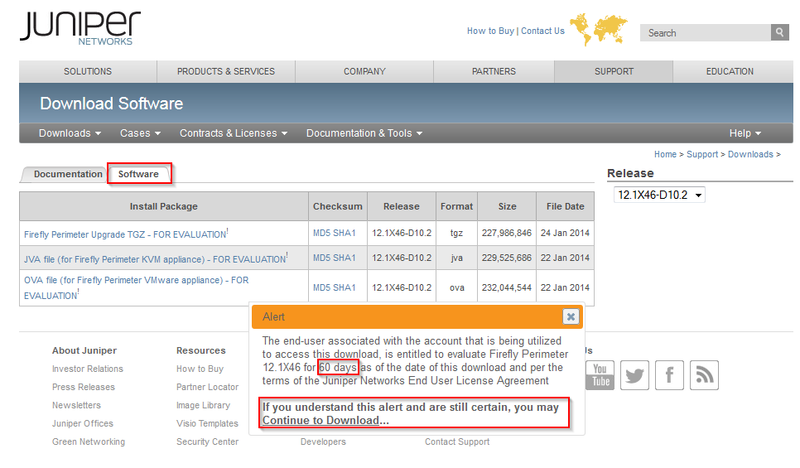 In this case you have to download the OVA file and deploy it with the vSphere C# or Web Client. The virtual appliance is configured with 2 vCPUs, 2 GB RAM and two E1000 vNICs. If you want to build complex setups, you can add additional vNICs (up to 10). Simply deploy the OVA file. After powering on the appliance, the appliance will try to get an IP address on interface ge-0/0/0.0 via DHCP. Web management is also enabled on this interface. If the VM gets an IP address, you can open a browser and enter the IP address. If everything went right, the Setup Wizard appears. The wizard helps you to do the initial configure of the appliance. It’s very handy if you have not much experience with Junos. If you’re versed with the configuration of Junos, you can configure the appliance using the CLI. Just login as root without a password. Juniper Networks has a really good documentation, so take a look into the Junos 12.1 documentation. This entry was posted in Networking and tagged juniper, junos, networking, security, virtualization, vmware on March 16, 2014 by Patrick Terlisten.